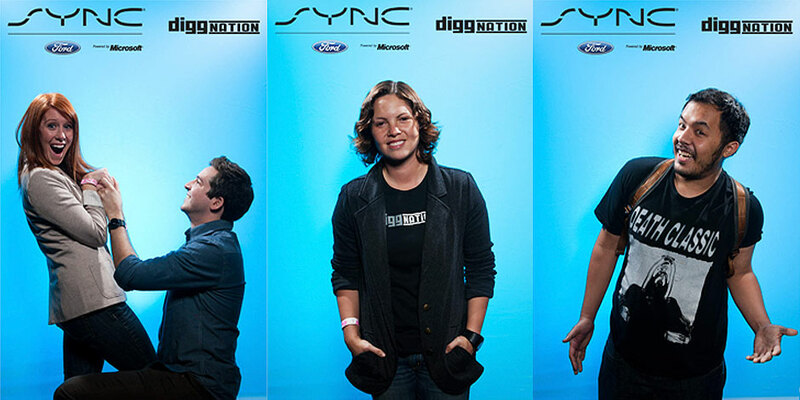 How to inform and excite guests at a live Ford-sponsored Diggnation episode about Ford Sync technology? Ford Motor Company wanted to maximize their sponsorship of the live show of tech/culture show with founders of Digg.com by extolling the benefits of Microsoft Sync technology bluetooth connection in their new cars. 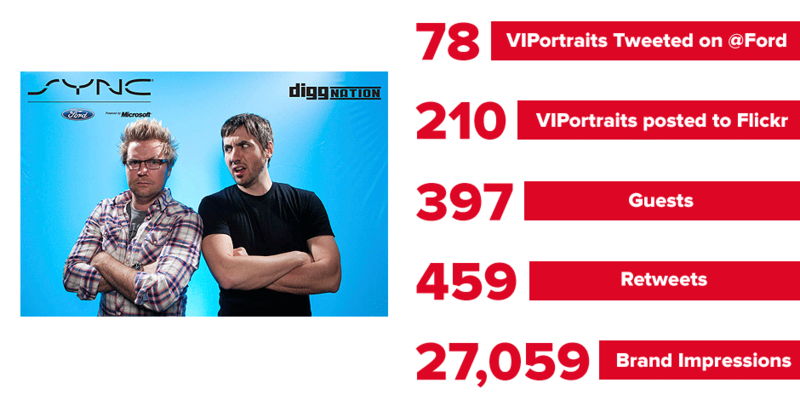 A SWIG Viral PhotoStudio with custom background and brand-stamped photos. SWIG moved almost 400 guests through in 2 hours and generated 78 tweets and 210 images posted to Flickr with over 27,000 views in 24 hours.